TiVo like other electronic companies at CES 2015 made an exciting announcement: TiVo OnePass. This doesn’t involve any hardware, but is rather a new feature to be pushed to certain TiVo DVRs targeting binge-watchers. OnePass will be arriving some time next month to applicable users. It is aimed to those who watch serveral episodes back-to-back and don’t like to search for that one wayward episode in between. 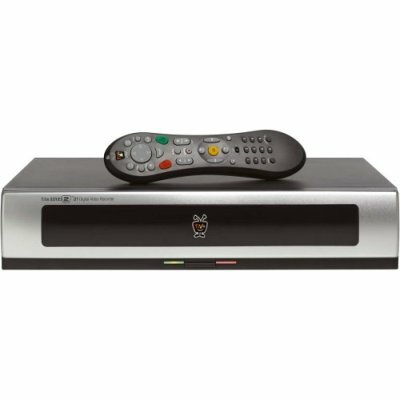 TiVo users can use the TiVo OnePass to locate all episodes of the show they wish to watch in the My Shows folder, arranged neatly season-wise. If the episode is not recorded by the user, TiVo will enable services of other streaming networks to fill in the episode gaps. These include Netflix, Hulu Plus, and Amazon Instant Video. Users have the option to follow through with recordings only or to stick to streaming. They will simply expand your Internet TV Streaming experience within their own service. – Select recording or streaming of your content, you may save the content on your local disk, or you can stream your whole experience, or both. – Across all your TiVO platforms and apps you can include all seasons for a TV show, start with only one season, or only include new unwatched episodes. – Organising all your streaming and recorded video under a “My Shows” section, in directories after the name of the show. – Remembering your last watched episode and bookmarking the next so you don’t have to remember where you are when you are breaking from your binge watching. TiVo plans to push its plans out in February to its Roamio and Mini users. Those using the TiVo apps on their smartphones and tablets will also be able to utilize the feature. iOS users will get it first in February, followed by Android users receiving the feature in March. TiVo, the beloved American set-top box which, allows users to record live TV to watch later has finally come to Canada. Cogeco Cable, the Canadian cable company responsible for the launch, has initiated sales in Ontario this month. Cogeco will release TiVo in its second base of Quebec, next year in spring. 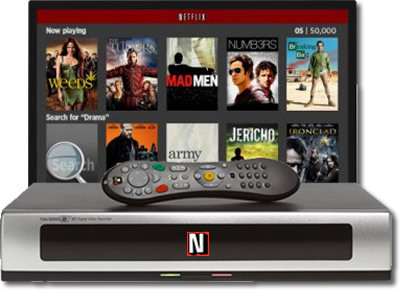 Adding TiVo to its operations, Cogeco will be the first cable company to bring Netflix in its set-top boxes. Customers will enjoy the facilities of live TV, as well as recorded. They can also access on demand and other content like Netflix. “Cogeco TiVo Service will be a game-changer in the cable market in Canada,” The CEO of Cogeco, Louise St-Pierre, said. “We have worked closely with TiVo to develop a platform that is customized for Canadian viewers, and we are proud to bring it to market.”. For those customers who want TiVo, they will have to pay $20 for a first DVR, in the first month and a cost of $7 for additional TV’s. Subscription to Internet packages and Cogeco TV programming will also be available. Cogeco has attempted to work on its own system, but abandoned the attempt in favour of a $32 million deal, and decided to offer TiVo as a more lucrative option. Other Canadian cable companies have also been devising similar systems as demand is shifting from cable to online viewing and portable devices. Two of Canada’s largest cable companies, Shaw and Rogers, collaborated to create Shomi a Netflix-like competitor. In the past year they have collectively, lost around 200,000 subscribers. 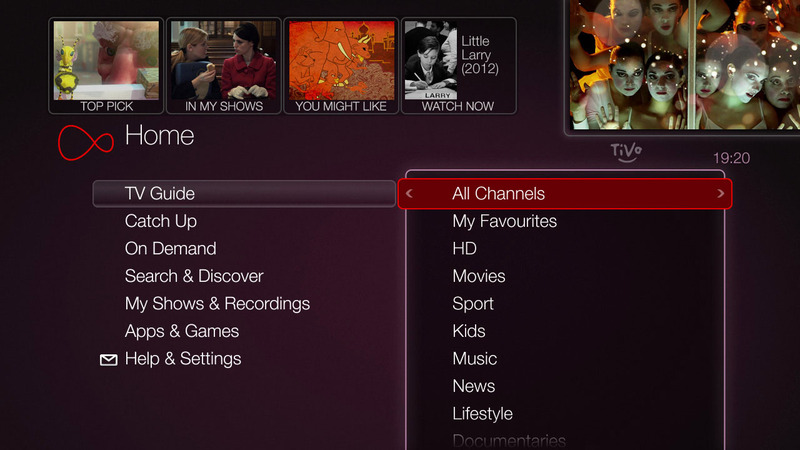 British company Virgin Media, in their continuing efforts to challenge regional pay-TV powerhouse Sky, have revealed an update to their user interface on their TiVo platform that will better incorporate content recommendation and discovery options. Claimed to be the first system update for close to four years, the new on-screen look of Virgin Media TiVo carries a number of ‘extensive visual enhancements’ (including a change from a red to ‘plum’ colour scheme and ‘refined fonts’), and will seek to improve the user experience whilst retaining similarities to the format they are familiar with. Part of that familiarity will be in the service’s electronic programme guide (EPG) which retains its previous ‘grid’ format, with the added ability of allowing viewers to go backwards in the schedules to view now on-demand content. Following in the footsteps of Sky, Virgin Media will also be introducing ‘predictive search’ functions to be a part of their newly-emphasised ‘content discovery’ direction, which also includes show recommendations based on viewing habits complete with optional background ‘automatic downloads’, and groupings for downloaded content such as TV/Radio, Kids, and Movies, amognst others. Hardware-wise, the update roll-out is designed to ensure that TiVo runs faster and with higher-resolution imagery than ever before, combined with an upgrade to HTML5-based apps as opposed to flash, with more apps becoming available through a store carriage agreement with Opera. Also updating their mobile ‘TV Anywhere’ platform in line with the TV improvements starting between now and the end of the year (with 28 October cited as the main ‘launch date’ for the most boxes in the UK), will . There is quick, and then there is damned quick. The Qplay service created by the founders of TiVo comes under the former as it’s closing down a mere 6 months after launching. The service has failed to take off with internet streamers who are offered a host of cheaper and free options. The service which launched in February, required users to buy a $49 connected device (or more recently use an ipad app), which then streamed a curated content of video collected from the web. The company was created by co-founders of the TiVo DVR, Michael Ramsay and Jim Barton, who brought us TiVo 10 years ago. The service let viewers watch an uninterrupted stream of videos from sources like YouTube and Vimeo. But they essentially offered a product you could find without the hardware or expense, and the service lacked any premium content. However, the shutdown is still a shock as they only just announced support for the Google Chromecast (ironically a product that probably helped shut them down). The company are offering to pay back customers who shelled out for the $49 Qplay TV adapter. The video streaming hardware and app combo called Qplay launched by the founders of DVR company Tivo, have revealed that the service can now be run via the chromecast streaming stick. The service which launched in February of this year consists of a streaming ipad app and a $49 hardware box that connects to any TV. The service then collects and plays curated video from all over the web which can then be played back-to-back with no interruptions. 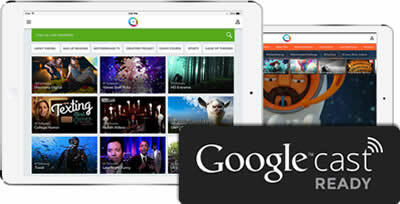 Qplay removes the need to load lots of different video apps, and allows users to publish and share their work as Q’s. Qplay is a startup company founded by Mike Ramsay and Jim Barton who created the TiVo company, and the move means that the number of Qplay users should grow as there is now no need for the streaming device to watch videos on the big screen TV. Just like Google’s Chromecast, the Qplay hardware relies on it’s accompanying mobile app for use as a remote control and searching functions. In a move that shows how quickly the public are adopting online streaming, and demanding access to Netflix, the online TV and movie service is to be added to three US cable companies services. The deal was signed with companies that use TiVo boxes which are Atlantic Broadband, RCN Telecom Services and Grande Communications. The Netflix service will be available to Atlantic and RCN subscribers on Monday, and appear on Grande’s service in May. Although the 3 companies that have signed up are pretty small fry with around 800,000 subscribers collectively, the deal marks the first American cable companies that are prepared to offer Netflix, who have historically been seen as a threat and the enemy of cable. Netflix have around 36 million US subscribers who each need to own a connected device such as a phone, tablet, games console or smart TV to access the unlimited streaming. They want to get the service added as a channel on TiVo cable boxes to increase their potential market. The streaming company have already been managed to get themselves added to satellite and cable boxes in the UK, and Sweden, but have been trying to crack the US market. Although the cable companies may be wary of Netflix, they realise that viewers are moving from a linear TV habit, to an on-demand and live service which Netflix are a big part of. It could be a win-win situation as it prevents cable subscribers from cutting-the-cord, and drives more subscribers to Netflix straight from the cable box.